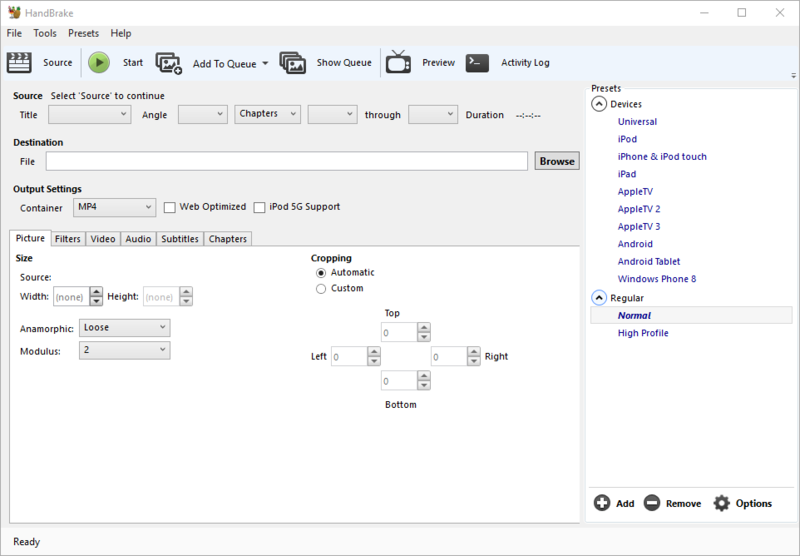 HandBrake is an open-source, simple-to-use, advanced, powerful & totally free video converter. It is a useful tool that converts DVDs to MPEG-4, MKV & much more for free. It can easily compete with any of today's 'paid' dvd rippers, available on the net. It converts at a really good speed & even supports the latest video codec H.265. HandBrake is an incredibly impressive and efficient video encoder for all of your MPEG-4 ripping needs. Best of all, it's free! HandBrake is used by millions of people all over the world (even I). 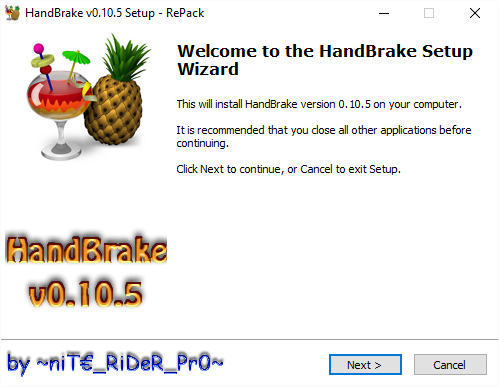 Supported Input Sources—Handbrake can process most common multimedia files and any DVD or Blu-ray sources that do not contain any kind of copy protection. Installer installs x86/x64 version according to your OS's architecture. 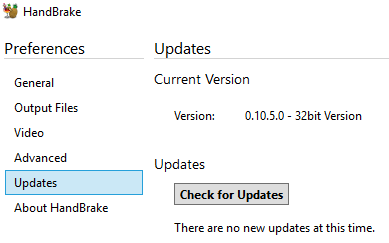 Handbrake required .NET Framework 4.0. So my installer checks whether .NET Framework 4.0 is installed, & gives option to download & install it automatically. Credits: Credits to @-=4lfre1re=-for my setup wizard theming methods.